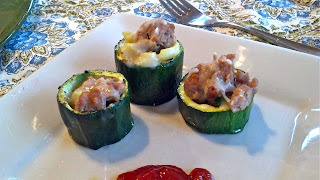 I am always experimenting with new low carb recipes. Please "like" Make the best of everything on Facebook for new low carb updates!! Here is another installment in my " eating lighter" campaign. And I should just state that I am NOT anti bread! I LOVE bread! I am just trying to be pro vegetable! Do you peel your cucumbers? I sometimes do. If the skin tastes bitter I will defiantly peel it. If the cucumber is organic, I will always leave it on. There is so much nutrients in the skin, that I like to keep the skin on if possible. And I must say, that after a hard morning workout during this hot summer season, this was an extremely refreshing lunch. I have always loved cucumbers. They are so crisp and refreshing. Have you ever had a cucumber slice on a Triscut cracker? Now THATS something! These are the ingredients I chose to use in my cucumber subs. These are the items I prefer on a sandwich. Guess what? you don't have to follow my recipe. Make something you will enjoy! I happen to be a HUGE fan of both dijon mustard and laughing cow cheese. Cut your cucumber to make it appropriate for a sub sandwich and scoop out the seeds. The sandwich fillings will go there! This was a great lunch. However, I am not sure I will make them exactly like this next time. I will either cut the sandwich into smaller pieces before eating it, or I will make this open faced. Zucchini Pizza Cups! or my Bell Pepper Scoop chips! 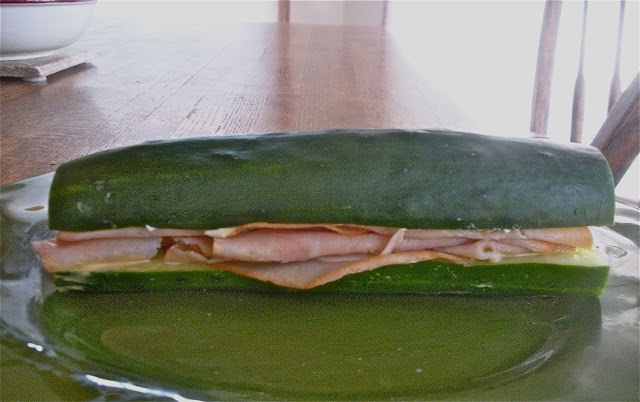 Cucumbers are so cooling in the summer - fabulous idea. I think the open-faced idea is better too,...easier to eat. Thanks for sharing at our party this week. (pssst,...do you know that you have word verification on? just in case you don't I thought I'd mention it). I bet that's yummy! I'm hosting a linky party "One Creative Weekend" at OneCreativeMommy.com. I'd love for you to visit and link up this idea and/or anything else you'd like to share. 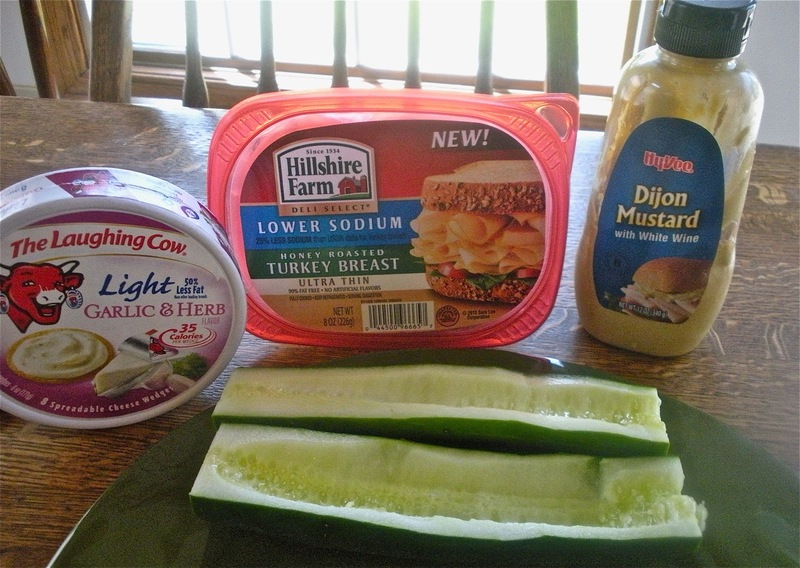 I put tuna salad in mine - the extra crunch from the cucumber is a big bonus! I like your lunchmeat version. Have you thought of also using a green bell pepper, like if you were going to go Italian Hoagie (capacola, salami, american cheese, onion, tomato, sweet peppers, lettuce)? Love this idea! Now following your blog :) You are welcome to stop by my blog anytime. Have a wonderful week. Hi! 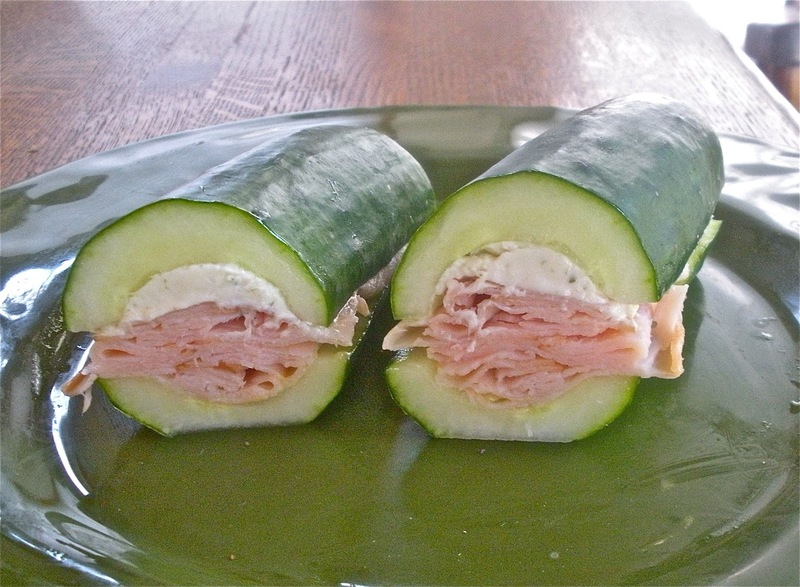 I just shared your picture of cucumber subs on my FB page Oranges and Almonds. I couldn't resist! 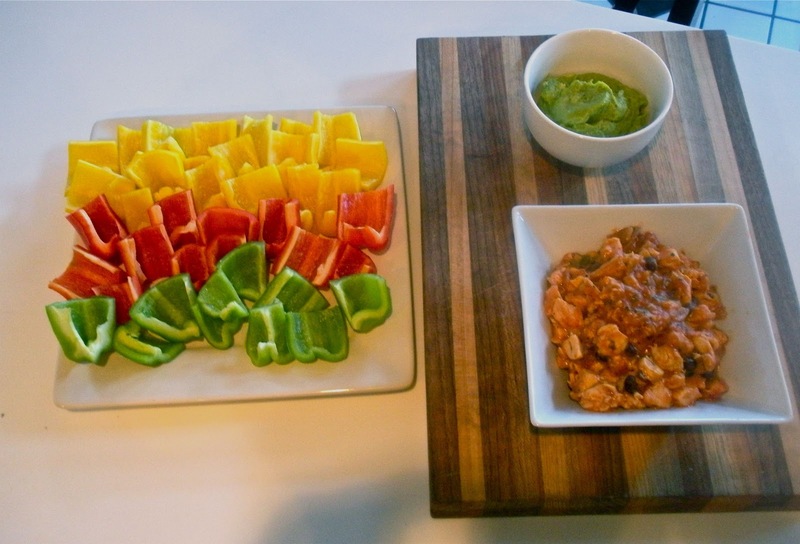 Great idea - I'm going to make them for lunch right now! I substituted the cheese with cream cheese (cannot get Laughing Cow cheese where I live), and added mashed avocado...better than a regular sandwich! Thanks for the inspiration! Mix srirachi with mayo for kick and to stretch the mayo out. You could use crab and carrots with this to make it a sort of sushi, since srirachi and mayo is what makes the "spicy" in Spicy California Rolls. I love reading. cooking. And making the world beautiful by decorating things with Puffy Paint.